Learn the best northern lights photography settings, including sharp focus, f-stop, shutter speed, and ISO, while balancing the exposure triangle. You’ll also learn how to plan the best time and place to capture your shots and the right photo equipment to ensure high quality images. Scroll down & start learning! Click & access the section of your choice or scroll down and read the entire guide. Below I’ve provided the minimum equipment requirements and some of the best lenses, tripods & northern lights cameras. Tripod – A sturdy tripod that doesn’t shake or slip over a 10-20 second exposure. Many low quality tripods produce terrible image quality due to movement creating out of focus images. Camera with Manual Mode Functionality – Manual mode allows the independent camera setting adjustments of ISO, F-stop, and shutter speed. Full Frame / 35 mm Camera: Full frame cameras provide better overall image quality with lower noise, when shooting in low light situations. The Nikon D810, Sony a7R II, are the are of the best full frame northern lights photography cameras. A Wide Angle Lens: A wide angle lens allows you to capture vast landscapes with the northern lights overhead. When selecting a wide angle lens, ensure minimum f-stop values of f/2.8-f/4, with f/2.8 being recommended. Shooting at f/2.8 produces a very wide aperture opening, in turn, allowing more light to hit the image sensor over a standard exposure time. This is taught below. Planning ensures you don’t waste night after night hoping to get some shots of the northern lights. Use the following steps & start creating great photos. If you want to learn more about this topic I’ve also linked a free video series below. The easiest way to find an area with dark skies is to check the Blue Marble Light Pollution Map which is a Google / NASA collaboration. The black areas are free of light pollution, while white and grey areas have high light pollution. Shooting in dark areas will provide the best results, most vivid colors & detail. Next, it’s time to find clear skies. You can photograph the aurora on partially cloudy nights, but the results won’t be quite as good as nights with 100% clear skies. Check the local weather and find a night with cloud cover between 0 and 20%. MeteoStar Weather Satellite Imagery Maps of the Northern Hemisphere work very well for showing cloud cover conditions on a macro level. You will need to use the IR ( Infrared ) setting on their website to view the cloud cover at night. Unlike visual (VIS) satellite images which can only be used to view cloud cover during the daylight hours, IR satellite uses cloud temperature readings to watch cloud movement and cover. If you’re not well versed in IR satellite imagery, the How to Read a Satellite Image Post will be very helpful! If you want to take your photography planning to the next level, learning this information is really going to help! It’s also quite interesting. Next, check the aurora activity for the night of your shoot. There are many different resources for checking aurora activity, which all depend on your location. Usually it’s best to aim for nights with KP-index of 2 or greater, otherwise you really won’t see much aurora in the sky. The aurora activity index ( Kp-index ) ranges from 0-9 with 0 being the lowest amount of activity and 9 being the greatest. Kp-index ratings of 5 or great are considered a storm. 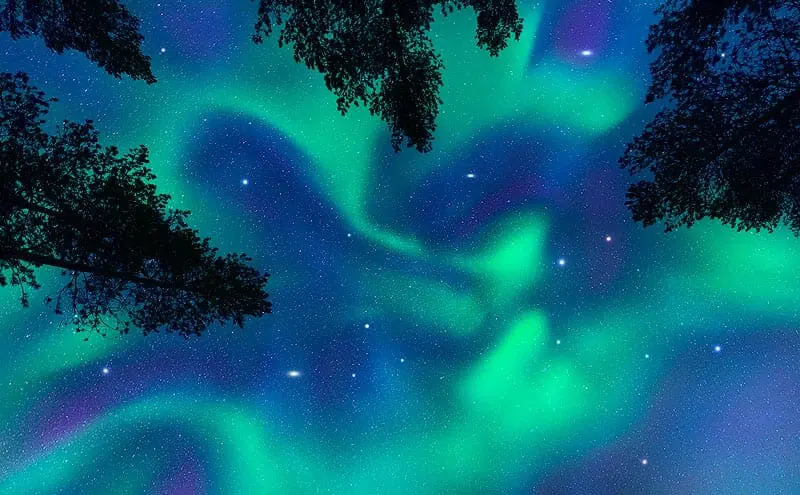 Space Weather Live OVATION Auroral Forecast : A really nice visual website which provides the current aurora forecast as well as other interesting facts which will help you to capture a photo of the Northern Lights. 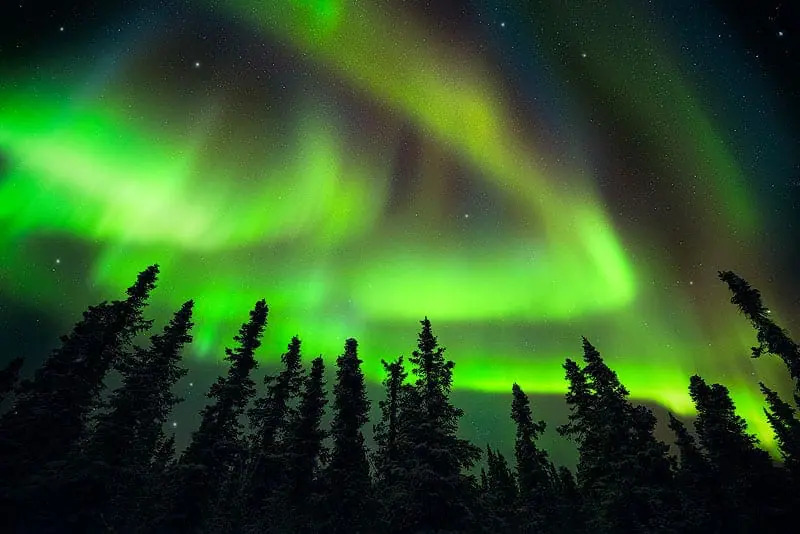 NOAA POES Auroral Activity Website: This site provides aurora forecast predictions as well as basic information which will allow you to be better informed prior to going out on your shoot. Iceland’s Vedur Aurora Forecast: If you’re going to be shooting in Iceland this is the site for you. 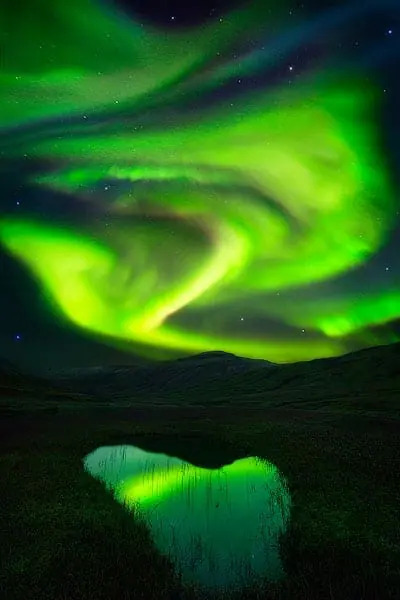 You can also use the aurora activity predictions from this website when visiting Norway, Sweden, Greenland, or anywhere else in the close vicinity. Obviously it will be most accurate when shooting in Iceland. Space Weather Aurora Forecast : Another great website with a broad overview of the aurora forecast for a multi-day time frame. Space Weather’s website is worth spending some time visiting! Prior to correctly focusing your lens it will be impossible to effectively perform any type of night photography. Due to this fact, this section has been placed first. 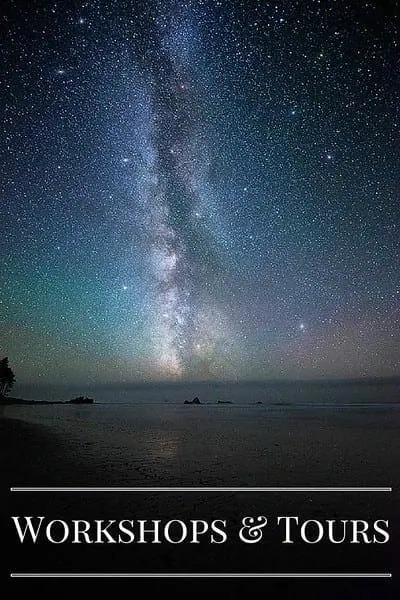 Since the stars & Northern Lights are very far away in respect to where we stand on Earth, we can focus at infinity or very close to it, and capture perfectly sharp photos of the night sky. Most lenses have an “∞” symbol on them which is used to mark the approximate infinity focus point. Just because you focus your lens to this infinity symbol doesn’t mean it will take a perfectly sharp photo. This proves true for all types of photography. After spending a few nights out shooting the aurora you will be able to narrow down the best ways of focusing which work for you. Experimentation and practice are key to finding out what works and what doesn’t! There are a few different options for focusing at night. Each of these methods work well for any type of night photography and some also work for landscape photography. I provide 1 method below and 5 more in my ebook on night sky & northern lights photography. It’s much easier to focus during the day than at night, for both you and your camera’s autofocus software. Since focusing is one of the hardest parts of night / low light photography, getting this step out of the way during the daytime is always best practice. Set up your camera during the day with the lens you will be using to take your night / low light photos. You can do this at your house, or anywhere else that’s easy, it doesn’t have to be at the location where you plan on taking your night photos. Adjust your lens to focus at infinity, or at a far away horizon. I always like to use my camera’s Live View Mode, zoomed in, and focus on the furthest horizon in my composition. This will ensure that you’ve focused at infinity. You can also focus by looking through your camera’s view finder. This works very well too. Next manually make the final adjustments if / as required using the focus ring. I find that Auto Focus usually does very well during the day, but sometimes needs manual input to nail down the final focus in low light. Take some more practice shots at an aperture of f/8 – f/11 and make sure the entire photo is in focus. If it isn’t focused, repeat Step 2 and Step 3. Now your lens is focused at infinity. Using a permanent marker, mark both the focus ring, and the barrel of the lens (non-rotating part of lens). Tape works as well, but may fall off over time. This is a reference point that you will be able to use when returning to shoot at night or in low light. I’ve personally marked my lens using a silver Sharpie, allowing me to see the mark at night without using a headlamp or light. 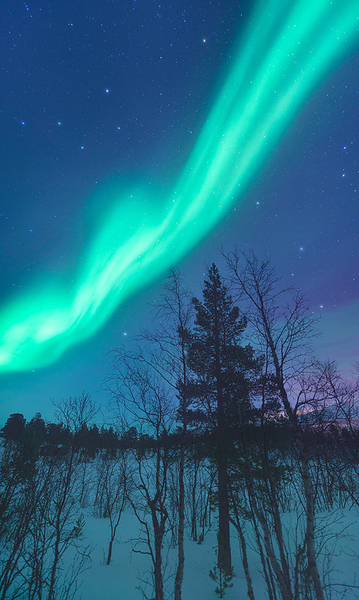 Now, learn how to photograph the northern lights with a DSLR or mirrorless camera. Since the aurora is dynamic and constantly moves through the sky your camera settings ( ISO & Exposure Time Only ) will also need to be dynamic and change as time passes. Prior to selecting shutter speed, aperture & ISO, the basic camera setup must be performed. These settings are provided below, followed by exposure settings for northern lights photography. Image Format: Use RAW Image Format for all of your photos. This gives you maximum control & margin for error. Color / White Balance: Shooting in RAW image format, as denoted above, you can always change your white balance settings when you get back home to edit your shots. I like to adjust white balance in the field as well to give me an idea of what the shot will actually look like when I get home. This also provides the most accurate histogram while reviewing your photos in camera. For night / aurora photos it’s best to shoot in “K” or Kelvin Mode. Try shooting at Kelvin values of 2800 – 4000 for your aurora and night sky photos. You can reference my video on shooting with Kelvin Mode for landscape & outdoor photography. f/2.8 is the best aperture setting for northern lights photography. F-stops values of f/3.5 or f/4 also work well for photographing the aurora. I don’t recommend opening your aperture any wider than f/2.8. With very wide apertures it becomes hard to focus at night, over the entire depth of field. The key is allowing the most amount of light to hit your camera’s sensor in the least amount of time, in turn maintaining a lower ISO, inducing less image noise. If the photo is not completely focused, over the entire depth of field, use the focus stacking methods, provided in the free video tutorial at the top of this page. 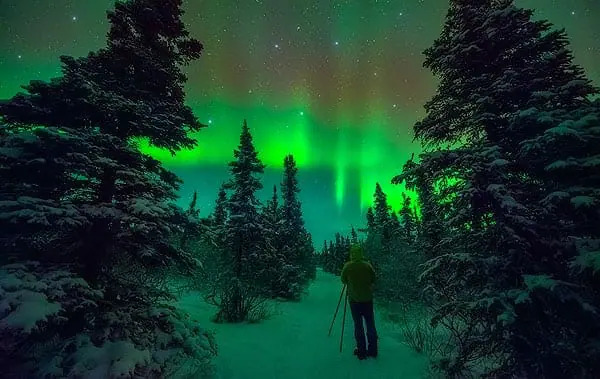 The following section will teach you how to photograph the northern lights for beginners, providing basic methodology and camera technique. I grouped shutter speed & ISO together due to the fact that you’ll need to change them both at the same time, since they directly reflect on one another. After a few hours of photographing the Northern Lights using the skill sets provided below you will easily be able to adjust both of these settings simultaneously, obtaining great results. Ask yourself the following questions to determine the camera shutter speed and ISO settings for northern lights photography. Question 1: How Quickly is the Aurora Moving Through the Sky? With high level aurora activity the Northern lights can move through the sky very quickly. To capture all of the nice color and detail in this scene, without your photo looking like a “blob of color”, you’ll need to shoot at a much shorter exposure time than if the aurora was slowly moving through the sky. Think about it this way…If the aurora is moving very quickly through the sky, and you take a photo at a 30 second exposure, then instead of seeing the instantaneous view that your eyes see, your camera will actually pick up the entire movement of the aurora through the sky over that 30 second time frame. The details and colors will become the average of the 30 second exposure for each pixel. As seen with long exposures of water or cloud scenes, all of the color and movement mixes together. This is not the goal for photographing the Northern Lights, we want, vivid color and nice detail. Best Shutter Speed for Northern Lights Photography: Keeping your shutter speed / exposure time between 5-25 seconds will work very well for shooting the northern lights. When the aurora is moving quickly, try 5-7 second exposures, when it’s not moving as quickly try 10-25 second exposures. You can increase or decrease these times as you see fit, they are just rules of thumb! Question 2: How Bright is the Aurora in the Sky? This tutorial assumes that you are already well versed in the basic technical aspects of the photography histogram as taught in depth on this page. You can also reference the following histogram video, if you need a refresher, prior to moving on. All of the other settings have now be adjusted. It’s time to select an ISO value. Since the aurora changes color, speed, and brightness all throughout the night, you’ll also need to constantly adjust your camera settings to match this dynamic situation. Increasing the ISO settings allows the camera to correctly exposes the image, with less overall scene lighting, at the cost of noise. Provided that none of the other settings are changed. Start out shooting with an ISO of 400-800 and take a practice shot. After doing so, if your practice shot wasn’t bright enough, increase your ISO to approximately 1200 and take a practice shot. If the photo still isn’t bright enough, continue to increase your ISO until it is. I usually shoot in the ISO range of 800-4000. Always keep in mind that your image should not be (in terms of the histogram ) correctly exposed, you are shooting at night, so the image can also be dark. You can bring out nearly all of this dark detail in Photoshop. Always watch your histogram to make sure you’re not losing any dark detail off of the left-hand side. You will also want to make sure that you’re not “blowing out” any highlights, meaning the histogram isn’t dropping off the right hand side. Let’s look at and analyze a few example images so you can see exactly what I’m talking about. The following images are straight out of my camera ( RAW Files ), and exported to JPEG format for display. This is how the images looked on the back of my camera screen after taking them. When you’re taking photos of the aurora it’s very important to watch your Color Histogram, even more than your luminance histogram. It is very easy to “blow out” or overexpose the Green Channel, which makes your photo lose color and detail. This can be seen as circled in RED in the Example 1 image above. When photographing the Northern Lights it’s always better to underexpose the photo as not to blow out the green channel. You will also want to watch the Luminance Histogram to make sure you’re not blowing out or overexposing the photo as a whole. The image seen above is what most would call well exposed. All of the color channels and luminance channels fall within the left-hand and right-hand bounds of the histogram, meaning we’re not losing any detail in the dark areas or blowing out in highlights in the light areas. By all means this photo would work very well when going home to edit it as I’ll teach you below. Can we improve this image? YES! This image can easily be improved upon. I’ll show you why in the next example. Most photographers would say this image is underexposed, and much too dark. I disagree! This is exactly the image I was looking to capture. 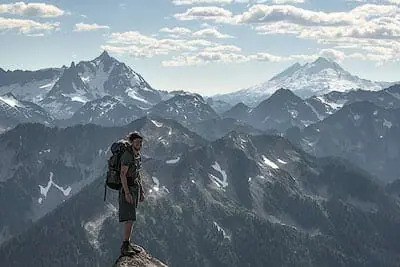 The aperture was at it’s widest possible setting allowing the most amount of light to be captured by the camera’s sensor in the least amount of time. The exposure time of 10 seconds was the longest I could go, while still keeping nice detail in the Northern Lights. I also managed to drop the ISO by half ( compared to Example 2 ) from 2000-1000 which will keep the noise in my image much lower, allowing the photo to easily be printed full size after post processing. Looking at the color and luminance histograms to the right-hand side of the photo we can say that no dark details were lost off of the left-hand side of the histogram, and no highlights were overexposed on the right-hand side of the histogram. Perfect! Now that you have captured some awesome images of the Northern lights it’s time to edit those images in Lightroom ( or Adobe Camera RAW ) and Ph0toshop using the simple technique below. The only guaranteed way to become good at anything is trying it for yourself and seeing what works. That being said after a few nights practicing the provided skills under the night sky you will easily grasp all of the concepts. Always remember you should never increase the ISO to obtain a brighter image prior to opening your aperture to the widest possible value ( f/2.8 works great ), and dialing in the maximum exposure time while still maintaining nice detail in the Northern Lights. You may also enjoy my other tutorials on Milky Way Photography & Star Trails Photography.